FANUC PC BOARD used in 5M and 5T controls. 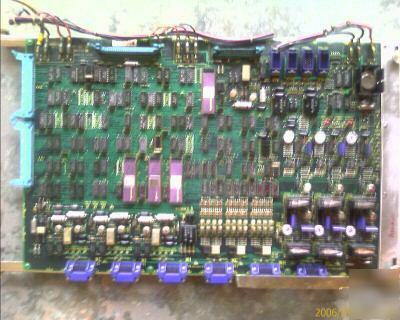 This board is used for motion control and was removed from a working machine and was tested good. We have most parts for Fanuc system 5 in stock. Exchange of your original part is welcome and a core refund may be available if your part is in repairable condition.